K'nuckles and Flapjack stow away on a ship and arrive at an island they believe to be Candied Island. However, it is inhabited by a terrible beast named Cammie. 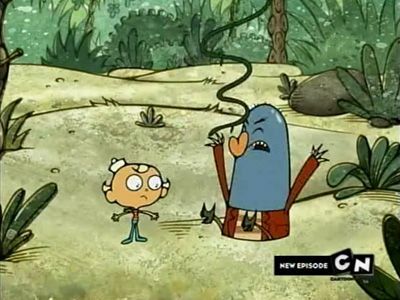 K'nuckles attempts to build a raft in hopes of escape, while Flapjack befriends the monster and helps her get some food. 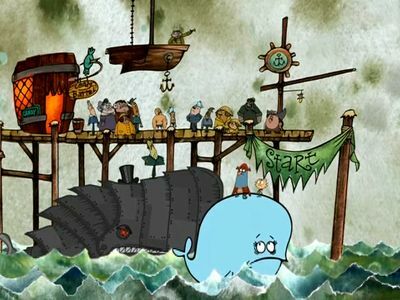 K'nuckles attempts to build a raft three times; one out of sardines, which is stolen and eaten by a great white shark, one out of bananas, which is stolen and eaten by an "undersea gorilla", and one made out of wood, which Flapjack pointed out would not float. Eventually, Cammie simply gives them a new boat for them to get back to Stormalong. 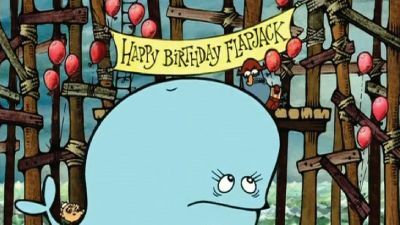 To celebrate Flapjack's birthday, Captain K'nuckles and Flapjack sail westward, as forced by Bubbie in search of Candied Island. Flapjack is oblivious to the danger around him, despite scenery such as burning ships, monsters, crazy old hermits, and other such hazards. The mere mention of the word "West" causes monsters to appear, and the entire direction is shrouded in a "curse". After hours of traveling west Bubbie and K'nuckles declare that there is nothing in the west and try to go home. However, Flapjack builds a raft to keep sailing west, taking K'nuckles along for the ride. 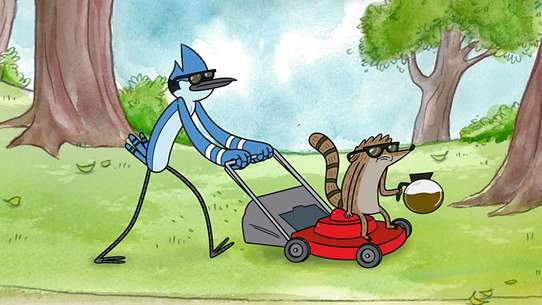 K'nuckles and Flapjack go crazy after drinking seawater, suffering hallucinations, but Bubbie rescues them. At the end, Bubbie gives Flapjack a "W" for his compass, but K'nuckles sold the compass for maple syrup. K'nuckles uses the "W" as a bottle opener and throws it into the ocean. Flapjack tries to clear K'nuckles' name when he gets accused of stealing candy. 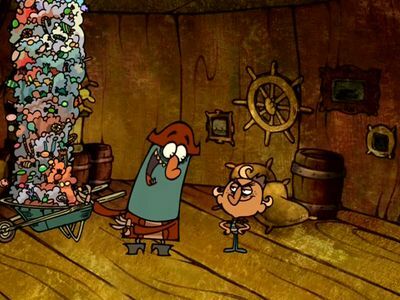 Flapjack and K'nuckles consume a new drink at the Candy Barrel, but when they drink too much, it turns them into fish. Flapjack attempts to create a brother for himself. 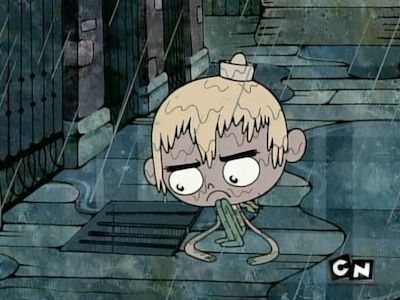 Flapjack is told by Bubbie not to follow Captain K'nuckles around anymore and tells Flapjack to lead Captain K'nuckles, only for it to backfire. 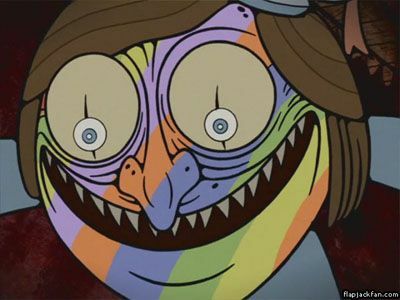 Flapjack leads K'nuckles like a seal by mistake and K'nuckles turns into a seal. 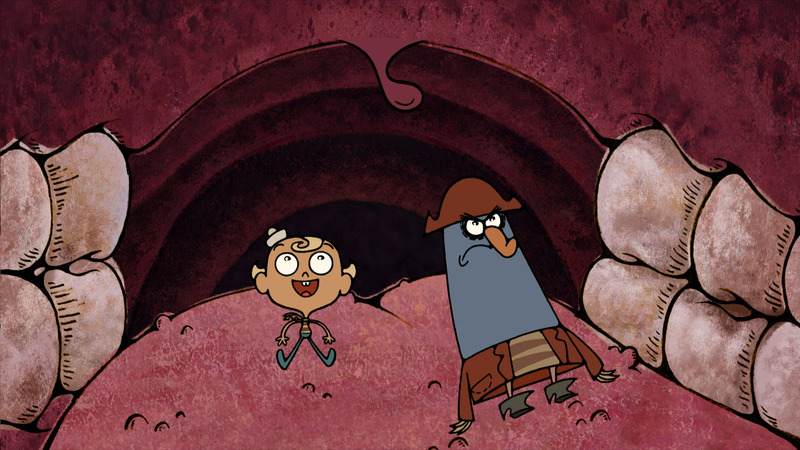 When taunted by a rich kid for being poor, Flapjack and Captain K'nuckles search for diamonds that the boy claims is in the sewers of Upper Stormalong Harbor. Flapjack pretends to be a dog for Lady Nicklebottoms while K'nuckles finds the actual dog. However, after Flapjack and Lady Nicklebottoms have such a good time together, Charles (Nicklebottoms' butler) gets jealous and attempts to throw Flapjack into the sea. Meanwhile, K'nuckles experiences the joys of owning a dog. 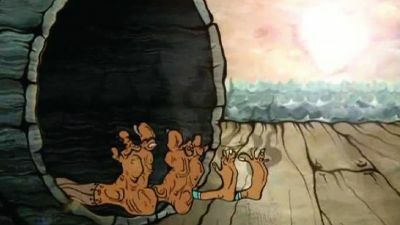 Flapjack, Captain K'nuckles, and Bubbie journey to the Bottom of the World to retrieve K'nuckles' lost "sittin' muscle" (his bottom), which he replaced with a wooden belt. They go to the peak of a mountain, where his sitting muscle is located. Flapjack and K'nuckles find his sitting muscle frozen in ice, and are unable to get it out. Upset that he might freeze to death, K'nuckles gets depressed. Flapjack tries to make K'nuckles feel better by hugging him, but the heat from his hug makes K'nuckles' sitting muscle thaw out. K'nuckles puts on his sitting muscle and Flapjack and K'nuckles slide down the mountain. But the friction from the slide causes K'nuckles' sitting muscle to be burned off, and Flapjack and K'nuckles are frozen in ice. Flapjack makes Doctor Barber a friend out of candy. 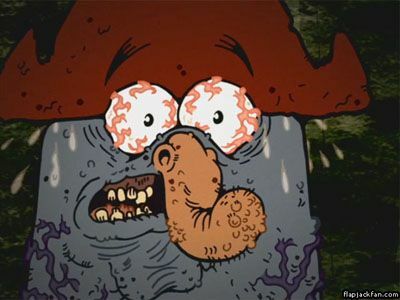 Flapjack tries to break Captain K'nuckles of his candy addiction after he develops candy rot. After several attempts to keep him away from sweets, Flapjack and Bubbie send K'nuckles into the sea on a raft. Peppermint Larry refuses to give Flapjack and K'nuckles any candy unless they bring him candy wrappers to exchange for the treats. 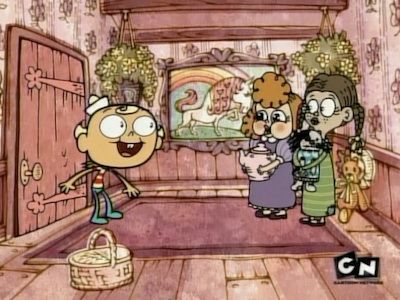 Selfishly, K'nuckles takes all of the candy for himself, breaking Flapjack's heart. He discovers Larry's true plans when trying to exchange more wrappers; the wrappers formed a map when put together leading to Candied Island. K'nuckles tries his best to regain Flapjack's friendship. 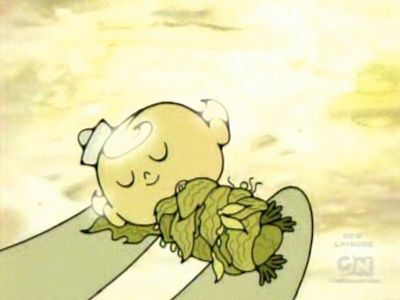 He does this, but Flapjack destroys the wrapper that Peppermint Larry needed to get to Candied Island. Once K'nuckles explains all this, they forge the wrapper and trade it in. Peppermint Larry then attempts to use the map to get to Candied Island, but instead it leads to Pickled Island. He is still happy that he has his candy-wife with him; however, this changes when he sees her having an affair with a giant pickle. K'nuckles gets a new face in order to avoid a mob after stealing boots, but ends up caught in the mob. Flapjack keeps getting mistaken for a girl so he and Captain K'Nuckles attempt to man him up, only to discover that his voice is the problem. 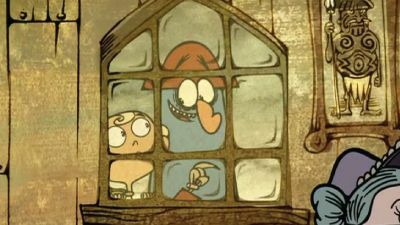 Bubbie kicks K'nuckles out, and Flapjack tries to reconcile the two. 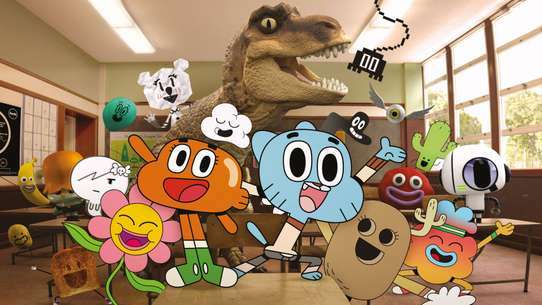 Flapjack gets invited to a birthday party, but feel embarrassed when the other kids perceive K'nuckles and Bubbie as 'weirdos', including for himself. Flapjack tells a crazy inventor that Bubbie is faster than a machine. 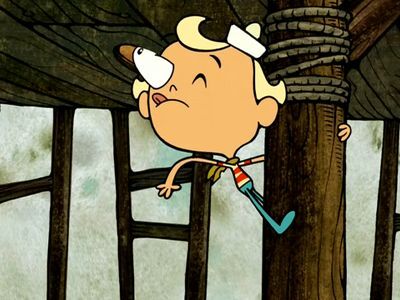 When Flapjack helps Captain K'nuckles look for his lost hat on an island filled with chimpanzees, they end up encountering a researcher that lives among the animals. With her help, they must reach the "secret meeting place". 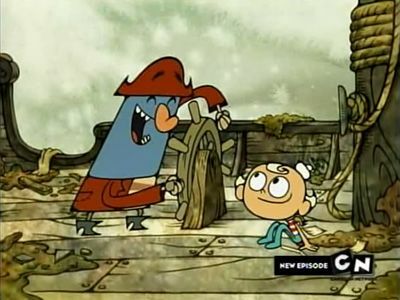 Bubbie is jealous of K'nuckles' new boat after Flapjack and K'nuckles buy it for only one pence. Bubbie gets jealous because Flapjack and K'nuckles would use it rather than ride on her. Unfortunately, Baron Berserker is on the loose. Flapjack and Captain K'nuckles suffer from a severe case of foot burn (sunburned feet) after sleeping in the sun. 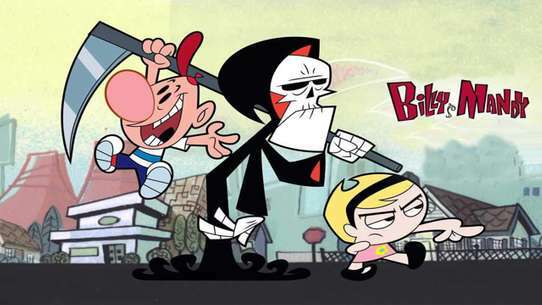 And on their quest to treat it, they discover a hideous trolley driver whom K'nuckles knew from his past. 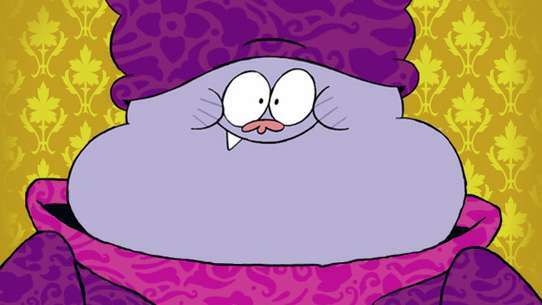 K'nuckles dimwittingly misleads Flapjack into the mouth of Eight-Armed Willy, not knowing his left from his right. This causes Flapjack to believe it is his fault that they could not navigate the map. 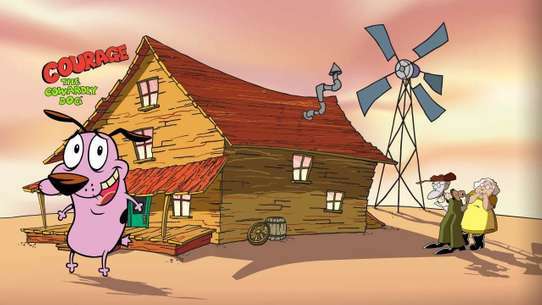 He and K'nuckles, instructed by Bubbie, go to school in order to receive an a basic education in navigation. However, a more devious plan is being hatched in the schoolhouse that the adventurers are unaware of. After winning a poker game, Captain K'nuckles ends up losing Flapjack as a friend. When Peppermint Larry falls ill, Flapjack and K'nuckles are forced to go fishing for food. When the fat police constable creates the first bicycle in Stormalong, Flapjack and K'nuckles find it difficult to get away with mischief, especially when the constable begins to abuse his authority and punish them severely for minor offensives. Flapjack wants to know what Bubbie does throughout the day, so he tries to figure it out.